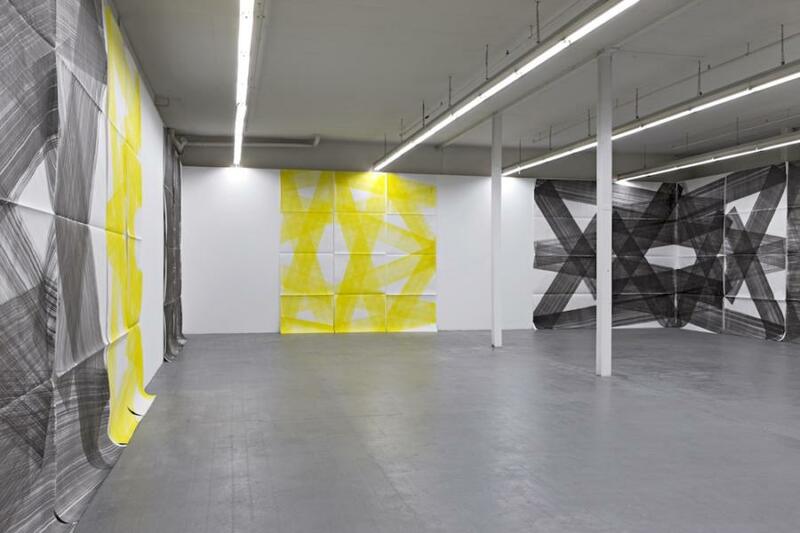 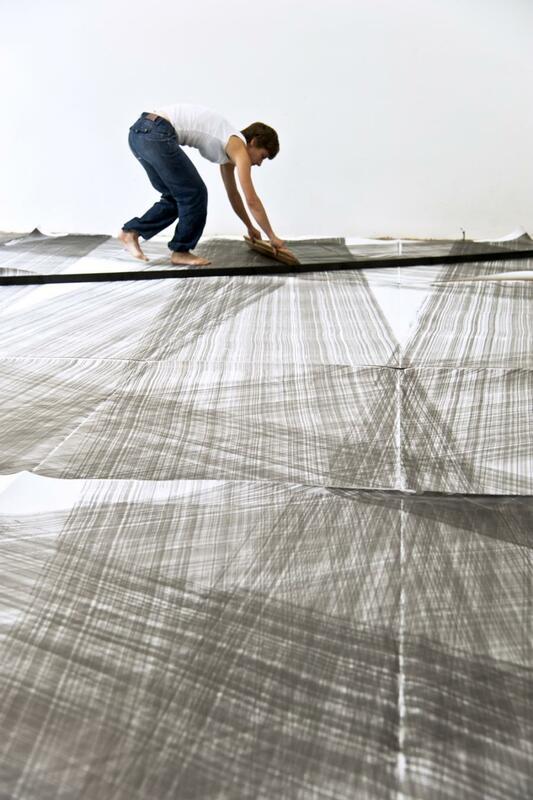 Maja Rieder (b.1979, CH, lives in Basel) has engaged with the question of how drawing can create a connection to space consistently since she started making art. 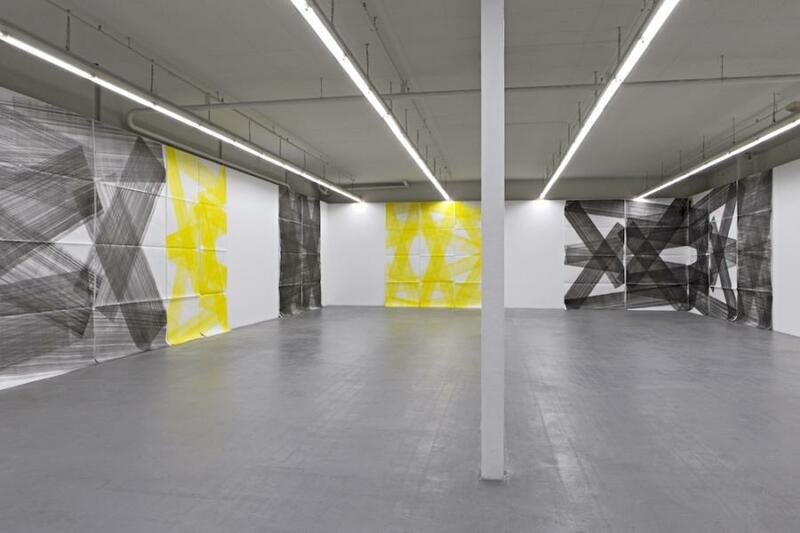 Rieder’s drawing is not a countour or a descriptive line, but the creation of concrete formulations, such as geometric basic forms in graphite — mostly in powder form —, through overlappings or folds of sheets of paper or long paper rolls. 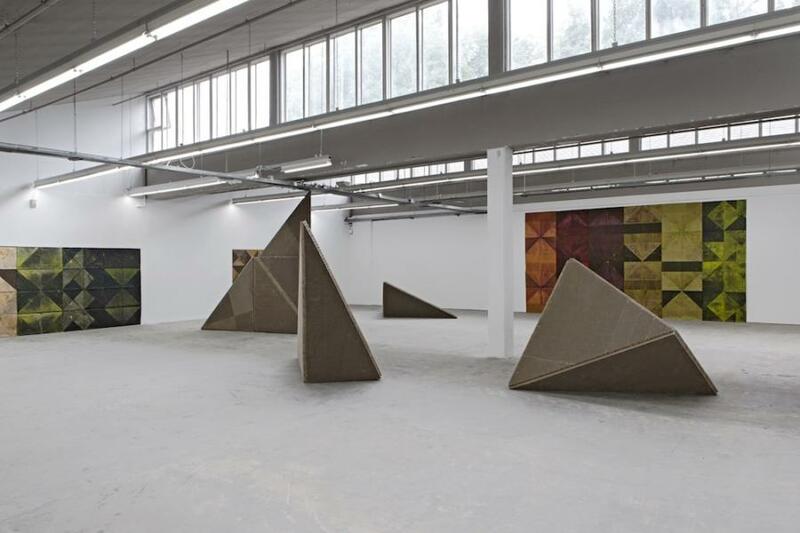 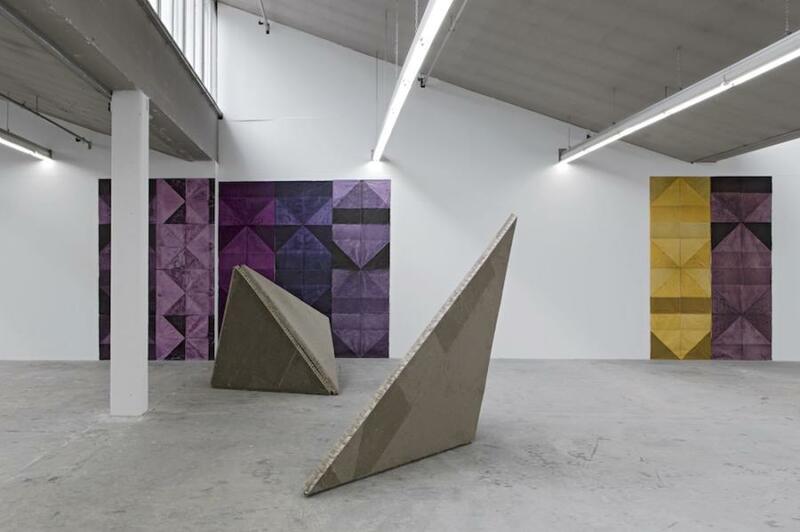 By overlapping, folding, as well as what is left out, uncovered and the paper fields that are thus left free, positive and negative forms and figures are created, some of which are installed across broad spaces by the artist, to influence the architectural space. 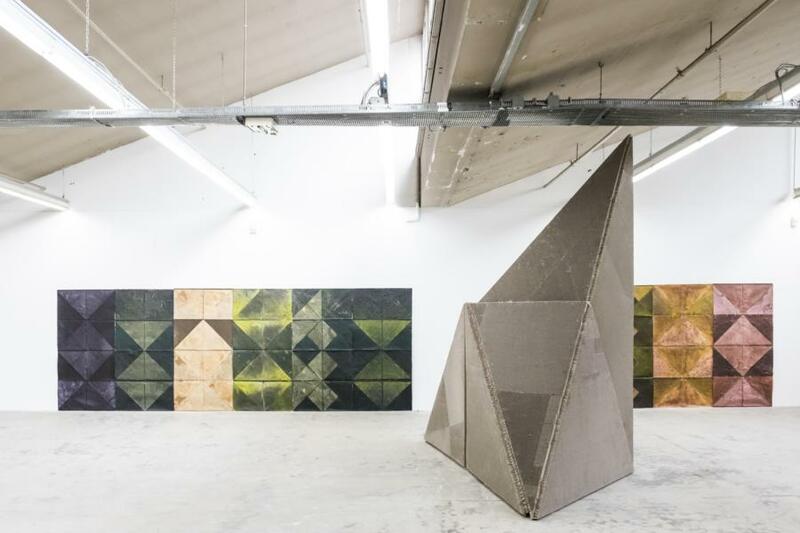 This will be Maja Rieder’s largest exhibition to date; the artist will exhibit across the whole lower floor of the Kunsthaus Baselland. 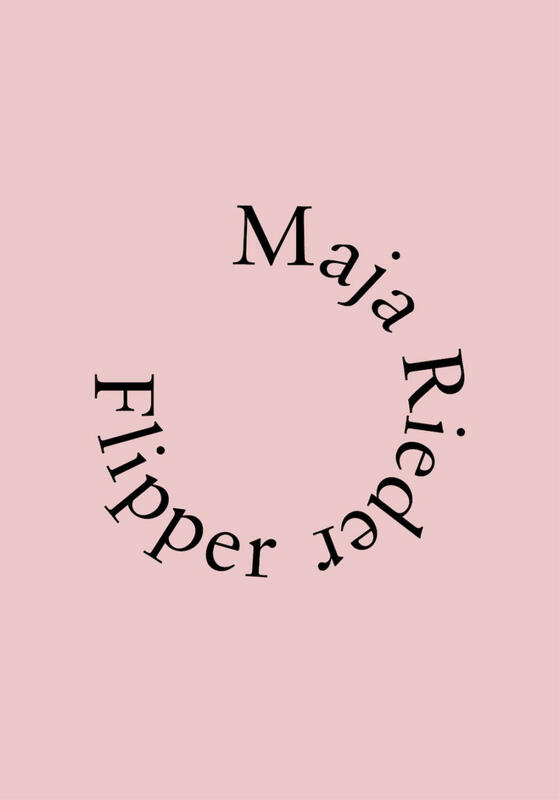 A publication about Maja Rieder will be produced by the Verlag für moderne Kunst, Vienna.